An opportunity for an extraordinary adventure - right here in Canberra! Whether you’re a kid, or just a kid-at-heart, the National Zoo & Aquarium has all the excitement covered. The recently opened Adventureland, a unique playground experience, provides the perfect backdrop for the wildest kids fest this enlighten season. Discover some of our Zoo locals, with new surprises at every turn. 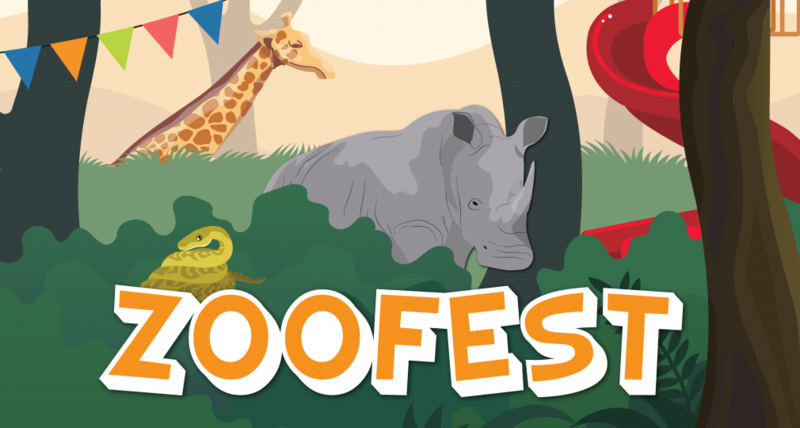 Set amongst the beautiful Savannah grounds, Zoofest will provide entertainment for the whole family, with a number of activities such as face-painting, air tattoos, stalls and entertainers, as well as opportunities to meet some of our friendly residents and explore some of the zoo by twilight. Across two nights, bring a picnic and unwind to the sounds of the wild or enjoy some refreshments at our Rhino Bistro. Book your tickets through Ticketek to start your adventure!